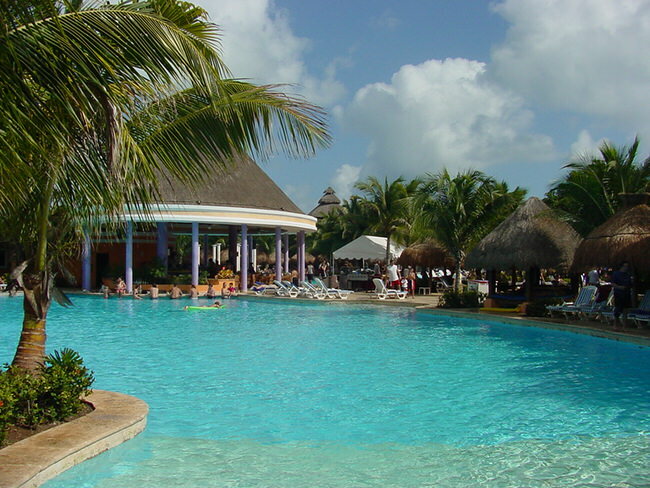 A Mayan Riviera vacation is one the most popular and exciting vacation destination in the world. Movie stars, jetsetters and sophisticated travelers flock to the Mayan Riviera from all parts of the globe. Stretching all the way from Punta Brava to just south of the Cancun International Airport all the down to Punta Allen just south of Tulum, is a myriad of fascinating vacation destination. Blissful tropical beaches, ancient ruins, abundant marine and wildlife abound. Looking for inspiration? Our Virtuoso, Mayan Riviera Travel Advisors will make planning fun, save you a bundle of time and mistakes, get you free upgrades, unbeatable airfare with luxury perks and special touches. It helps us help you if you begin with our vacation planner so we can properly match you to our most suitable travel advisor. The Great Mayan Reef is the largest coral reef in the Western Hemisphere. 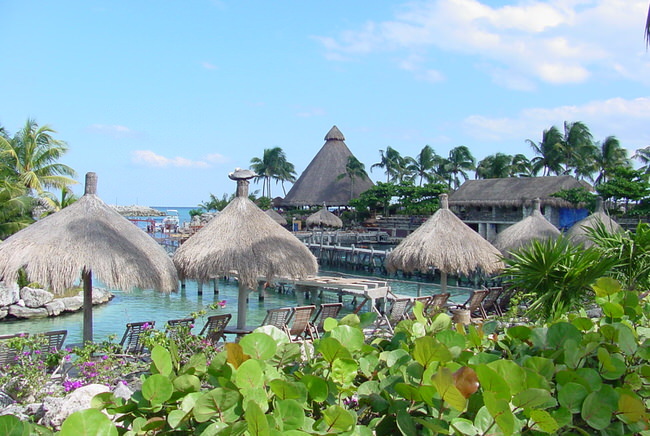 The Mayan Riviera was once home to several small fishing villages, but has since grown into a modern day tourist destination. 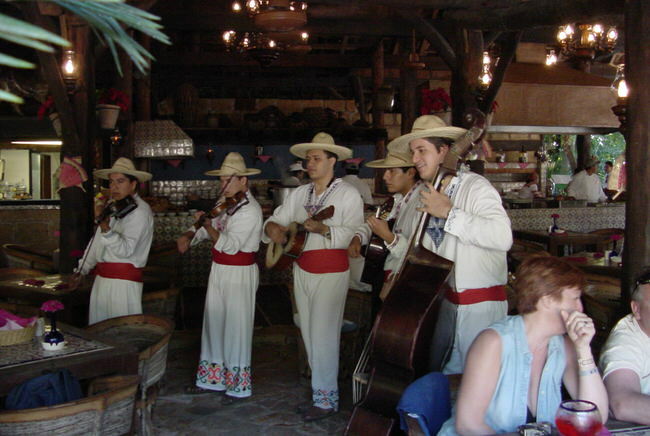 It’s currently home to several popular areas, such as Playa del Carmen, and Cozumel. 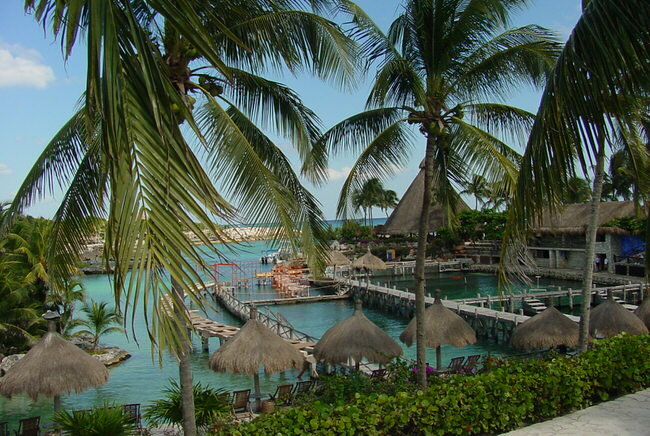 With so many possible locations to visit, the opportunities for fun on the Mayan Riviera are endless. The stunning white sand beaches on the Mayan Riviera are hard to beat. The sand is unbelievably white, and the water is impossibly blue. 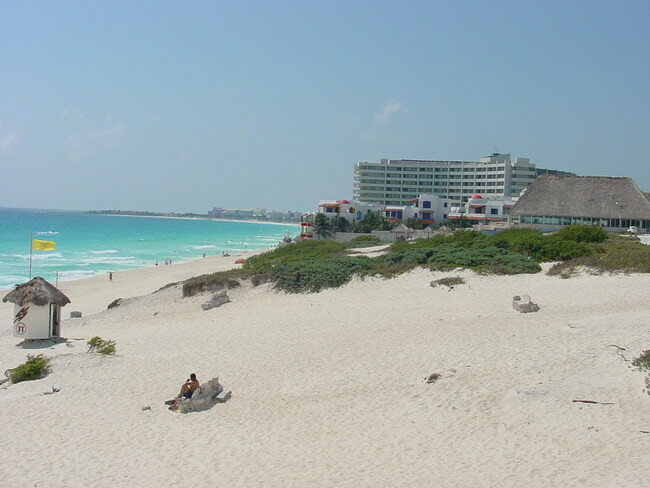 Punta Maroma, towards the north, is considered to be one the most beautiful beaches on the whole Riviera because of its crystalline water and variety of upscale resorts. There are beautiful beaches all along the Mayan Riviera, so find a hammock, get a refreshing beverage, and enjoy your natural surroundings. You won’t find a more exquisite ecosystem than that of the Mayan Riviera in all of Mexico. The landscape is home to jungles, lagoons, mangroves, and freshwater canals. There are nature parks all along the Riviera that display just how naturally beautiful and diverse the environment is. 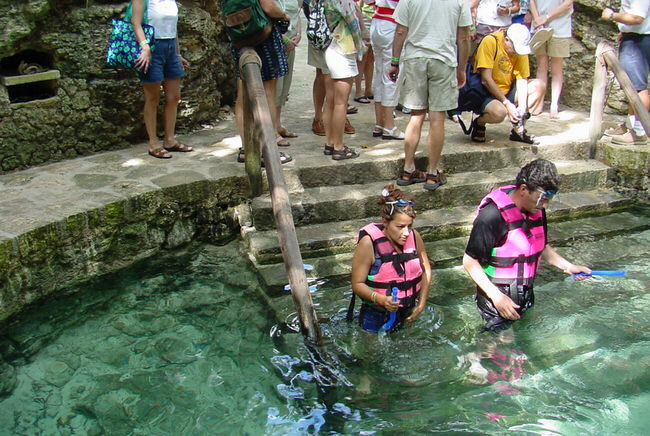 Xcaret is a theme park in the Mayan Riviera that offers attractions to showcase the wonder of nature. Visitors can enjoy swimming with dolphins and manatees, snorkeling through an underground river, seeing pumas and jaguars, and much more. Picture the well-preserved ruins of an ancient Mayan city built in the thick of a jungle and along the cliffs overlooking the Caribbean Sea. 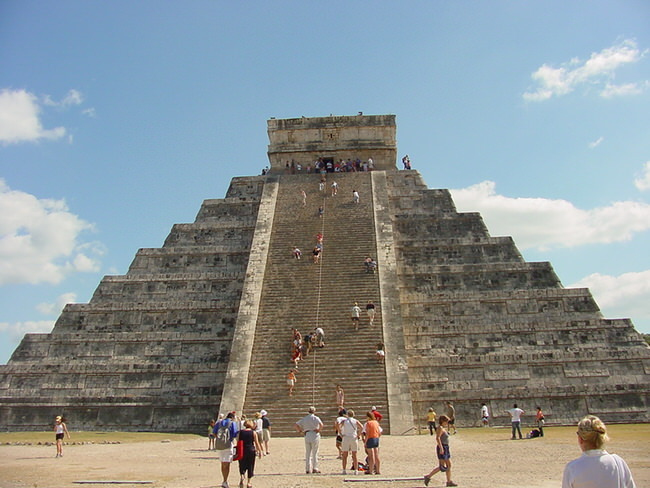 Welcome to Tulum, one of the most interesting and visited archeological sites in Mexico. Built in the thirteenth century, this ancient fortress is the only discovered Mayan settlement to be overlooking an ocean or sea. The most famous and iconic structure in Tulum is called the Castillo, which is perched high upon a cliff, looking down upon the Caribbean waters. The Mayan Riviera is full of things to do, like go to a spa, hike through the jungle, eat at authentic Mexican restaurants, go golfing under the sun, and almost anything else you can imagine. Spend the day lounging on the beach, and spend the night dancing in a club. On the Mayan Riviera, the possibilities for fun are endless. Looking for unique experiences? 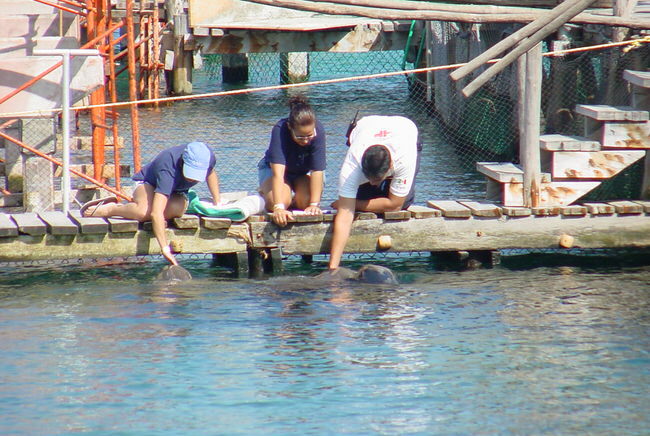 Visitors’ favorite recreations are swimming with the dolphins, deep sea fishing excursions and flats fishing. Thrills and relaxation await you as you explore the Riviera Maya where you will discover diving, recreational sailing, caves and cenotes and sky diving. You can find excursions to ancient Mayan pyramids, guided jungle tours or private tours deep into the Sian Ka’an biosphere. For archaeologists and lovers of Mayan Ruins, you can rent private van rentals to any destination in the Yucatan Peninsula. We can arrange comfortable transportation with professional guides. There are so many fantastic beach resorts; so much incredible entertainment and delicious cuisine it makes it a daunting prospect to do this yourself! Our Virtuoso Mayan Riviera Vacation Specialists will save you lots of time, money and stress, and offer upgrades and hidden amenities no other travel agency can offer.